Are you the one who loves to be online on social media platform? Do you check probably all the posts and RSS feeds you are on? Do you maintain your blogs regularly and think you are a good content writer? Do you think social media is the best platform to market a product or a service or promote a brand? Or keep updates on social medial tools? Are you the one who shares all the things on social media? If your answer for above questions is yes then you are a social media enthusiast and u love to be active in virtual world. You may be shy or invert in offline world but as long as you are active and fresh on virtual world there’s a job for you in social media platform. Here you don’t have to showcase your skills offline but u has to be creative in virtual world. Digital marketing is probably the most demanding sector now. And in it social media is the best platform to communicate with the people and showcase your skills and ability. Also the scope of social media marketing is booming with more involvement in digital world. And more and more people are now turning towards social media sites giving a huge platform to market a brand or a product. So these are some great opportunities for you in Mumbai for social Media marketing. Doorstep Forex provides foreign currency at best exchange rates delivered to your doorstep. They are part of Rs 35billion Weizmann Group. Currently they are looking for content writer and social media handling profile. For more information about this post, click here. Future Retail India Ltd is poineer in retail.Having a turn over of 1200 crores.The varios formats are Big Bazaar, ALL,Food Bazaar,Central & Foodhall. They now have opening for social media/ content specialist manager in Mumbai. . For more information about this post, click here. 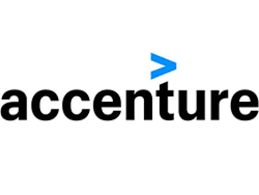 Accenture is a global management consulting, technology services and outsourcing company, with more than 323,000 people serving clients in more than 120 countries. Now they have opening for senior social media marketing and analytics profile. For more information about this post, click here. Aegon Life Insurance Company Limited launched its pan-India operations in July, 2008 following a multi-channel distribution strategy with a vision to help people plan their life better. The company is headquartered in Mumbai having 59 branches across 46 cities. . For more information about this post, click here. 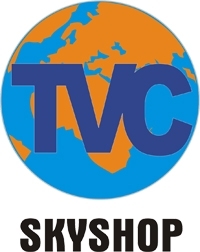 TVC Sky Shop is india’s No. 1 Direct to Consumer company. And is now aggressively looking to become 360* direct selling company with presence on TV, print, online & modern retail. Currently hiring social media executives. . For more information about this post, click here.